well every time i restart my pc, i have to reinstall windows xp because theres always a file missing at start up, theres no viruses found in my pc. i reformatted my pc at least 10 times and reinstalled xp at least 10 times. but theres an issue. every time i restart my pc, i get a message saying theres a file missing, but its always a different one. sometimes its a driver, sometimes its a system32 file and alot others. but theres no viruses, because i format my hdd and theres no folders or files in my hdd when i format. heres all what i have done..
- after blue screen of death goes away, it restarts and then after boot screen (with windows logo and loading bar) get the blue screen every time. so right now, if i restart my pc, im gonna have to reinstall my computer!! Though you provided a lot of info on what is going on the one piece of info you haven't provided is what the BSOD says. The bug check number and the information it gives will help in figuring out what to do. If you are in windows please do the following. Edited by barkerb23, 26 February 2011 - 02:31 PM. The bsod is happening in windows correct? If so then please do the following. Uncheck AUTOMATICALLY RESTART. Click APPLY and OK.
Now reboot. This will result in the BSOD error being halted so you can now copy and reply with the STOP ERROR and any parameters. but if i reboot it will say theres a file missing. the virus erases windows. and all virus programs say theres none. 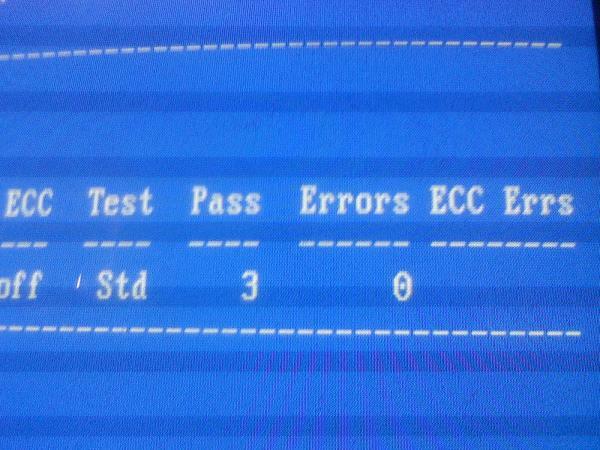 Have you run diagnostics on the hard drive to make sure it is not failing fast. With so many formats and installs, if they have been clean installs with a complete format it is difficult to believe it is an infection. It could however easily be a failing hard drive or a ram issue. Additionally to that, we realise the difficulty you have with the need to then consider another install, but without doing either what rshaffer61 suggested or trying a HDD test and a ram test depending on the results of the first we are going to struggle to ascertain the cause. Edited by Macboatmaster, 26 February 2011 - 06:48 PM. Well the HDD may be OK, but clearly something is NOT. That link I sent you, now we know it is a Maxtor HDD which was taken over by Seagate some years ago, will test the drive fully including a SMART analysis with error codes. Here is the full report of that test features. If you have tested it and only on the short test, you should not rely on that. YOU may be correct, and the HDD may be perfect, but by now you could have run the test and IF you are right we could have proceeded to a ram test, and other hardware analysis. and indeeed you could have tried the advice offered re the BSOD. We will help all we can, that is why we work on the site. However, with the present situation of NINE formats and TEN reinstalls, it appears you need to adopt a different approach. WHY NOT just follow our advice for the time being, however the decision is yours. Edited by Macboatmaster, 26 February 2011 - 08:06 PM. Then you need to run a memory test. okay do you guys know what team viewer is? you guys can connect to my pc and do what you need. im not a pro, i need ur help. please! We're giving you precise step by step instructions barkerb23. If you follow them you can do this. If there is something you don't understand ask and we will try to explain it better for you. We don't do direct connects or as you put it team view. The point here is just not to offer the advice but for you yourself to become more at ease working on your system. The SMART test is not a reliable test. The short test in Seatools is also not a reliable test. We prefer the long test because it is more comprehensive. As already stated we need you to do a long test on the hard drive and to also test memory. We need to go at this with 1 test at a time. A reformat and install 9 times is not working. With that said, I also doubt there is a virus. Something else is failing and we need to find out by process of elimination. okay. 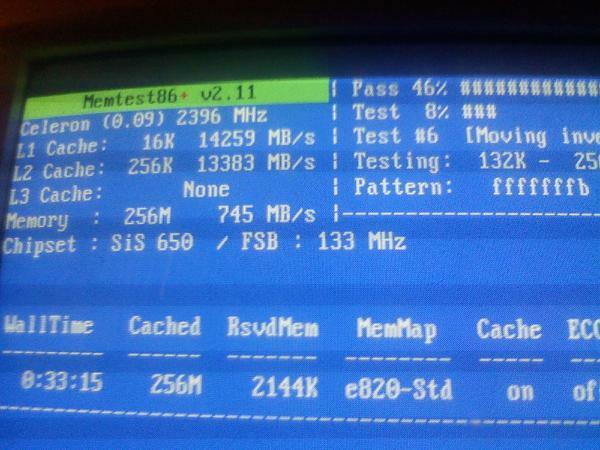 ran memtest, 0 errors, 3 passes. when i booted it always shows a loading bar before the boot screen. it always took like 10minutes to load. it took 2 seconds now... look. booted up, no blue screen, no error. faster than before! The sugestions we have made up to now, do not include any sort of fix. So unless you have done something else, there is no apparent reason why you had problems and do not NOW. Unless autochk ran on boot - chkdsk, scheduled automatically by the dirty bit being set, which you would have seen when you booted, there is no immediate obvious reason for the now lack of BSOD etc. You may then obtain the results by going Control Panel, Administrative functions, event viewer, application in left pane and the results will be in the winlogon entry - that is in the main window of event viewer. Edited by Macboatmaster, 27 February 2011 - 01:20 PM.